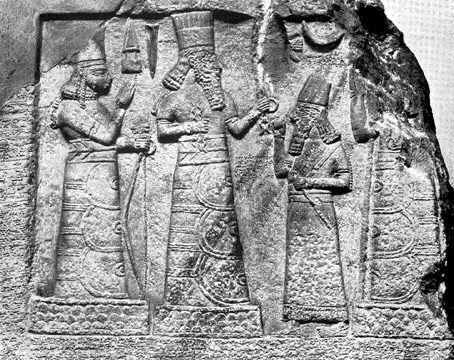 Shamash-resh-usur, governor of Suhi and Mari, standing before the deities Adad and Ishtar. Limestone relief from Babylon. About 4ft. 8th century BC. 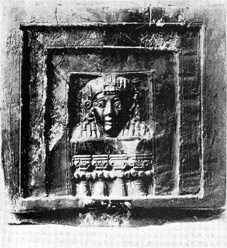 The Goddess Astate at a window. Ivory inlay from Khorsabad, Syria. 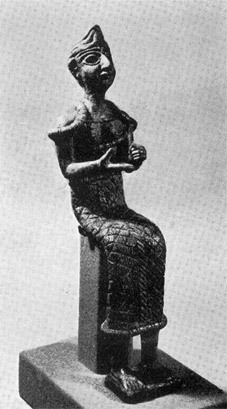 8th-7th century BC.